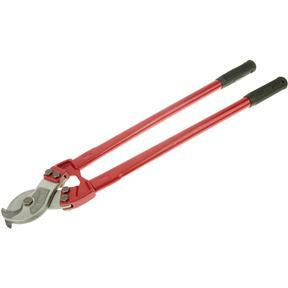 Cut the heaviest gauge cable with this 24" Cable Cutter. Perfect for cutting copper and aluminum power cables, as well as communication cables. Long handles provide plenty of leverage and the curved, hardened jaws part cables without flattening or distorting bundled or braided wires.